Picture Resizer is an picture resizing program used to perform a variety of functions in the graphics, photography and digital art worlds, It was marketed as the new standard for personal image editing and paint programs. Snaging: Catch screen image, get image from web camp, get image from video files. 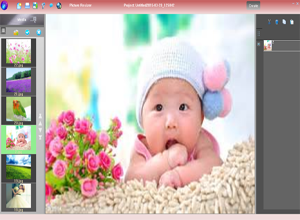 Editing: Picture Resizer is used to edit and modify a wide range of images and image types. One of its more common uses is basic photo editing. Layers: The specific feature of Picture Resizer called a layer. layers enable the user to arrange and rearrange images over top of one another. Each separate image has its own layer that can be moved back and forth across the image layer beneath it. Without layers, each image would merge with the image beneath it as soon as it was placed. This would make rearrangement or further placement editing of any kind impossible. Layers can also be used to add and remove visual effects like filters and lighting. Painting: Picture Resizer offers a steadily-expanding set of virtual brushes and pens that can accurately reproduce many different physical drawing and painting techniques. Digital artwork is most commonly found in the context of conceptual art for films and video games.